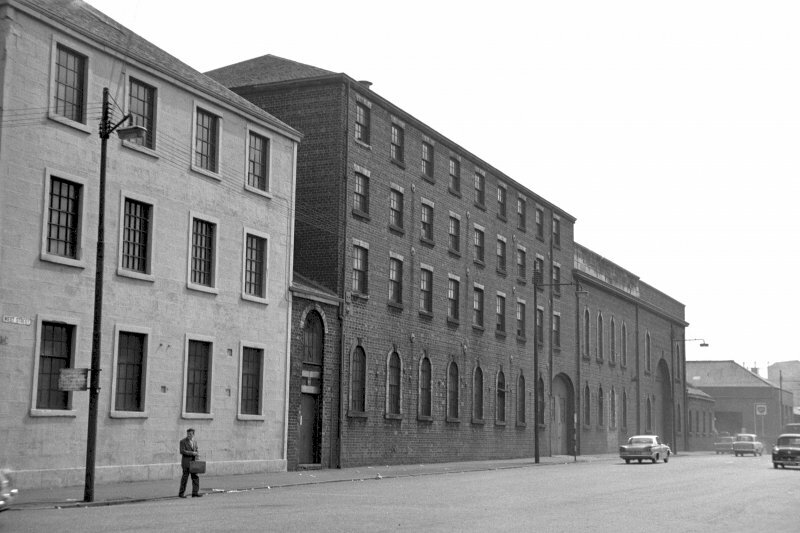 Glasgow, Cook Street, Eglinton Engine Works. 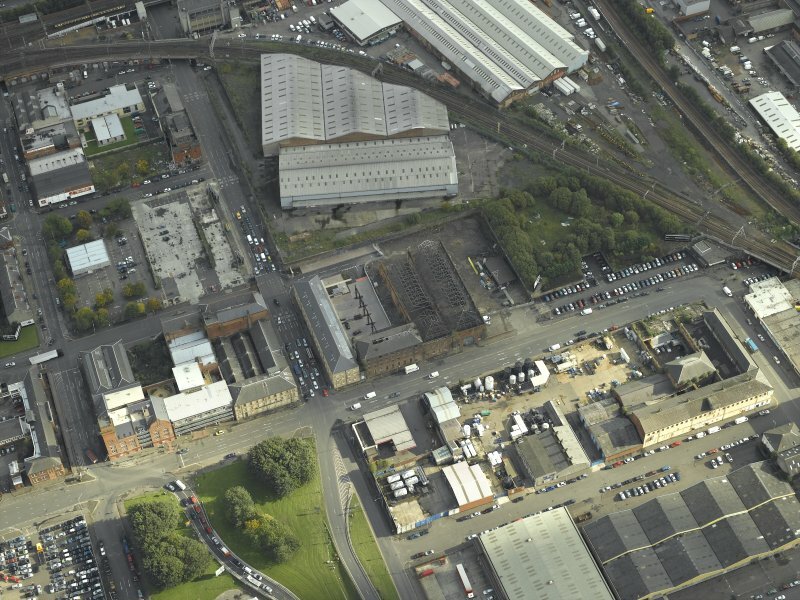 Oblique aerial view. 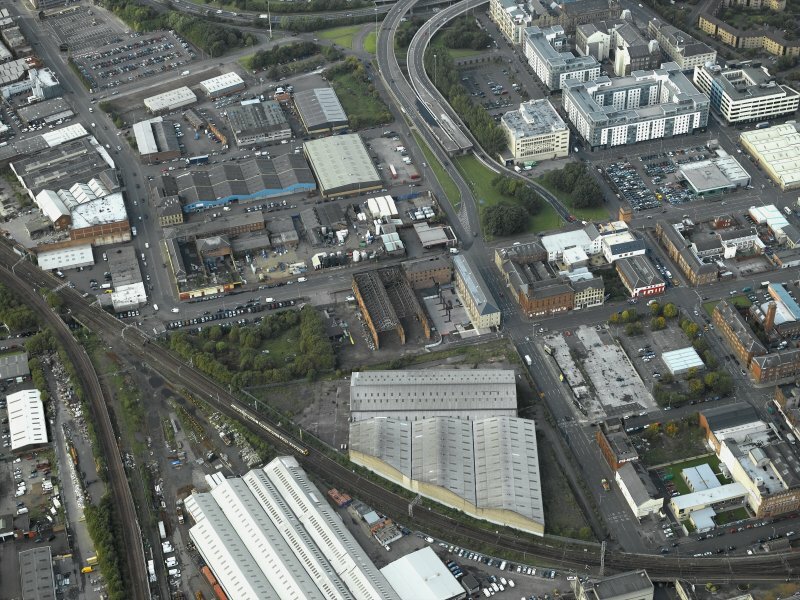 General oblique aerial view centred on the works, taken from the WSW. 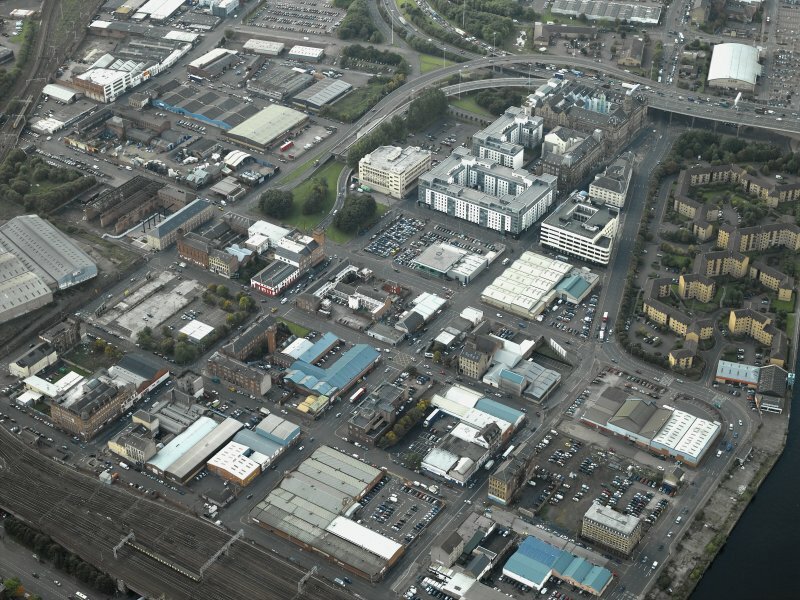 Oblique aerial view of Tradeston centred on the warehouses and Eglinton Engine works, taken from the ESE. 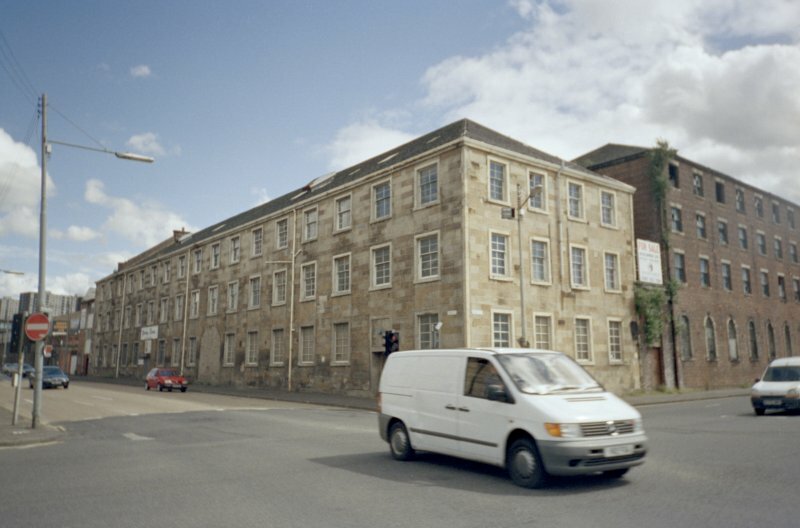 View of Cook Street elevation. 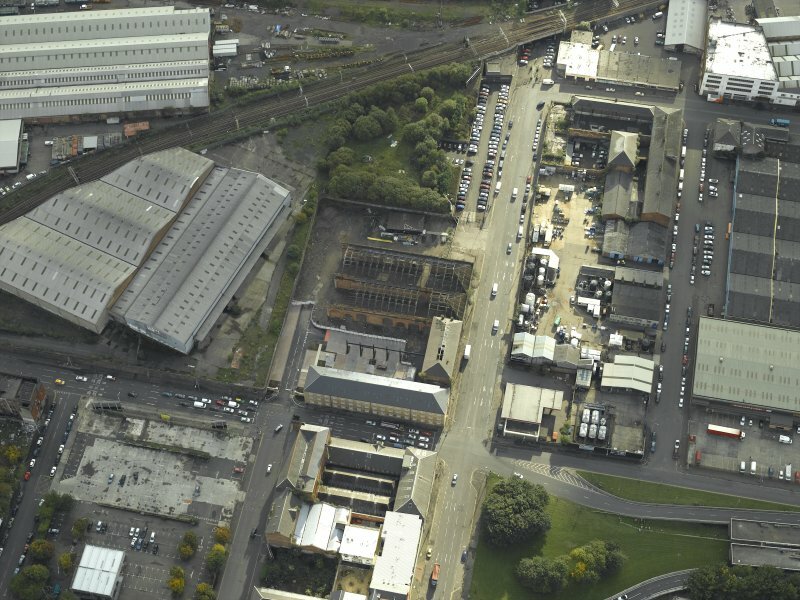 This range has been converted, with open coutryard and machine shops beyond. 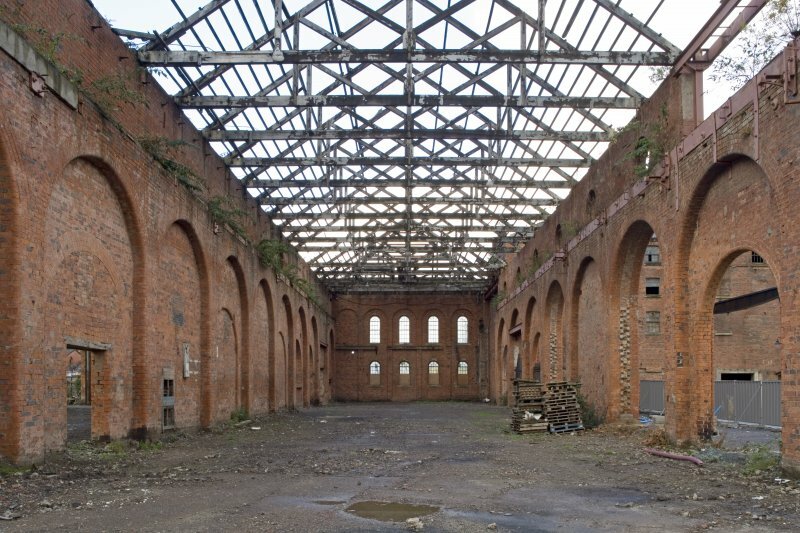 Glasgow, Cook Street, Eglinton Engine Works, interior. 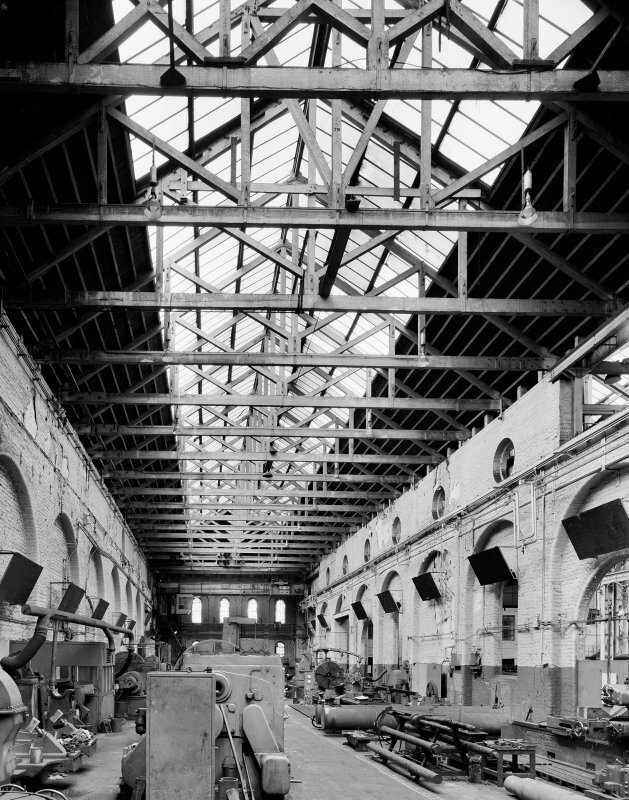 General view of wooden roof trusses in heavy machine shop. 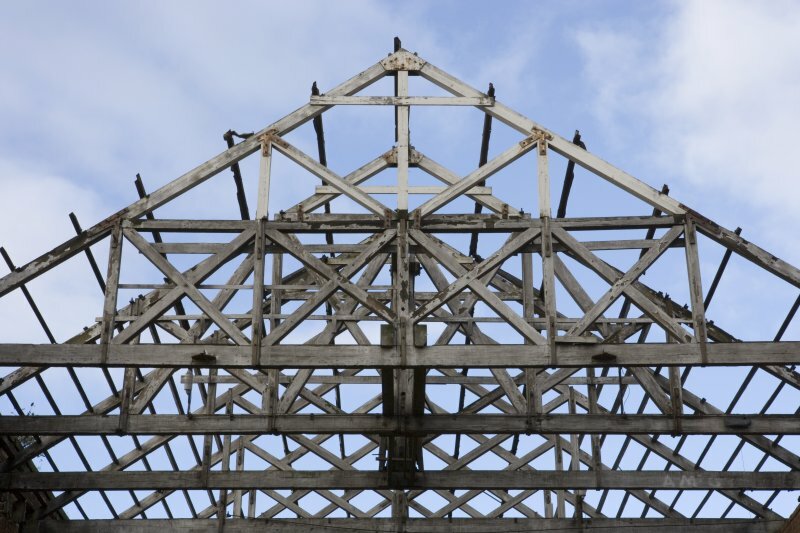 Digital image of A/56567. 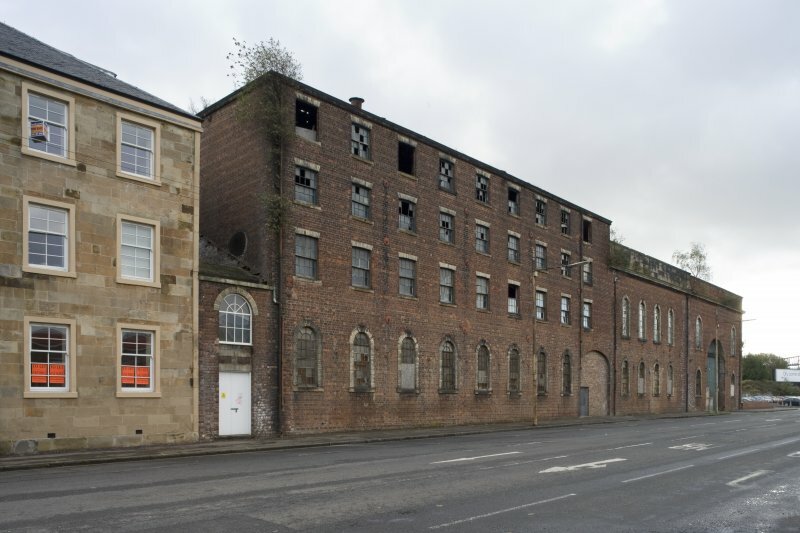 Glasgow, Cook Street, Eglinton Engine Works. 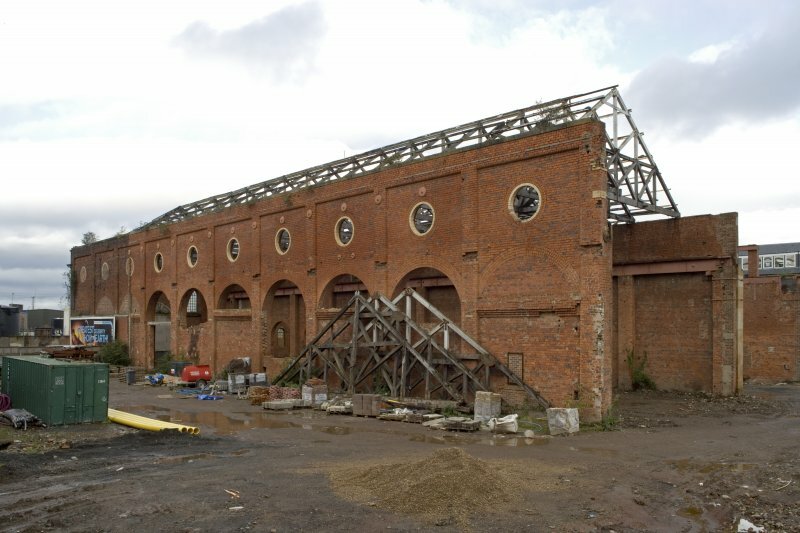 General view from North-West. 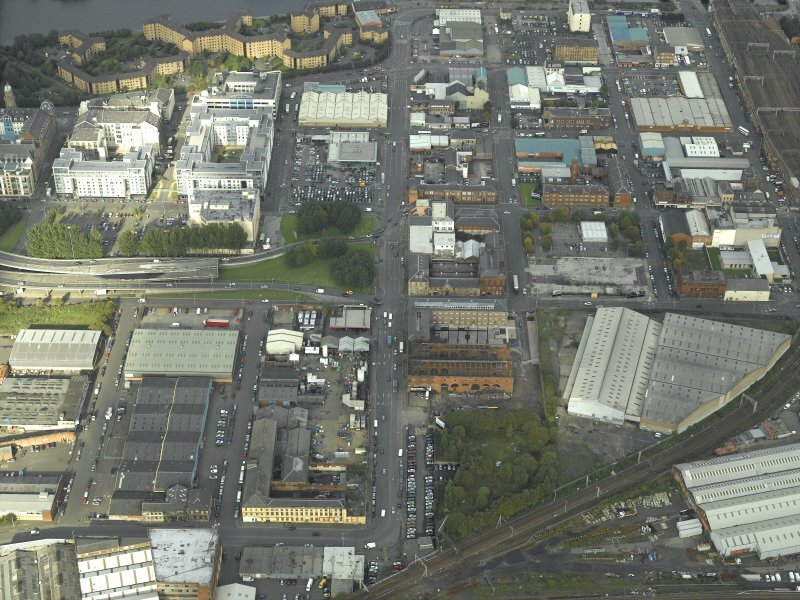 Digital image of A/56552. 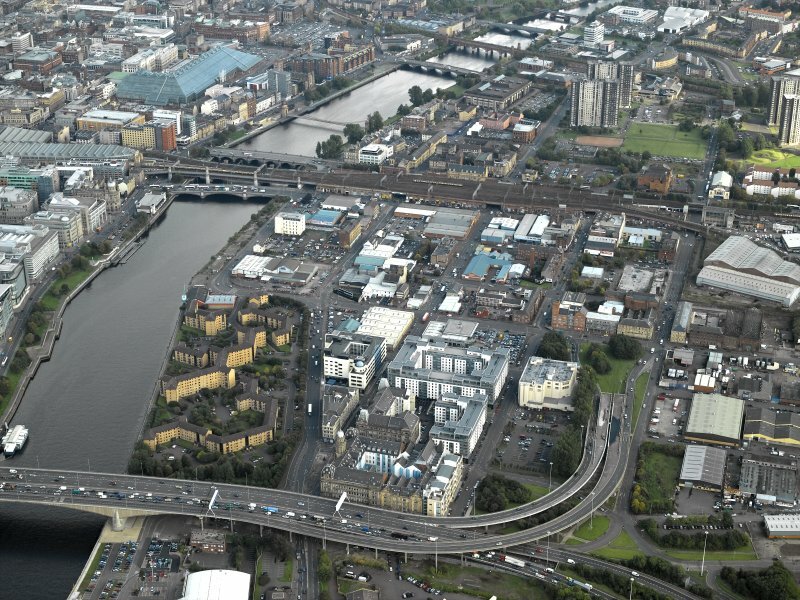 Oblique aerial view of the M74 extension going through the Port Eglinton area to the M74 centred on the Eglinton Street goods station, taken from the WSW. 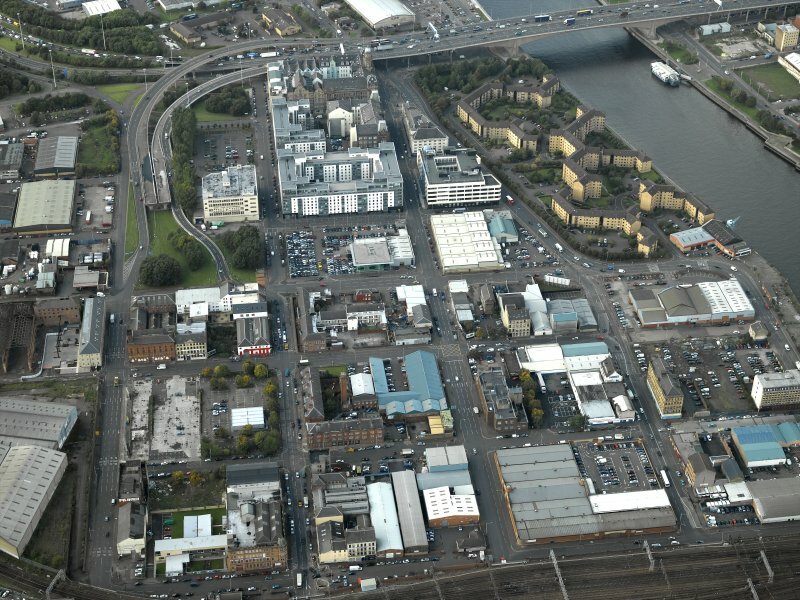 General oblique aerial view of Tradeston centred on the warehouses, works and housing, taken from the ESE. 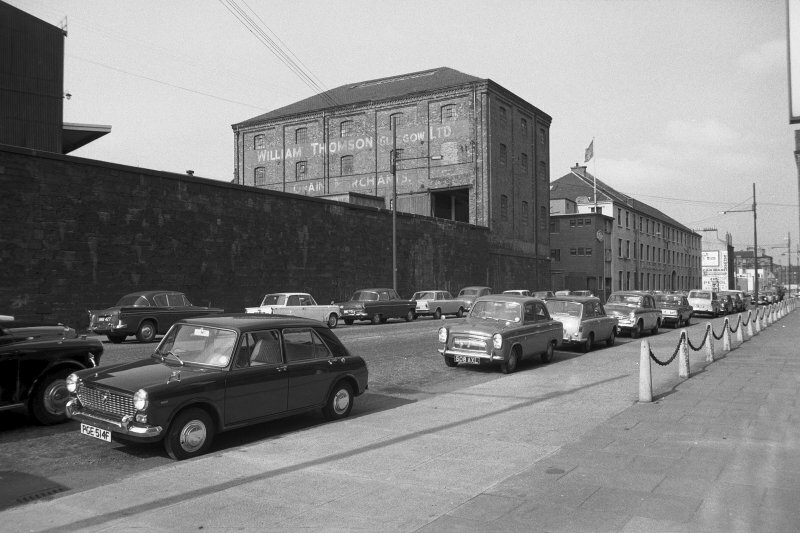 View of Cook Street elevation. 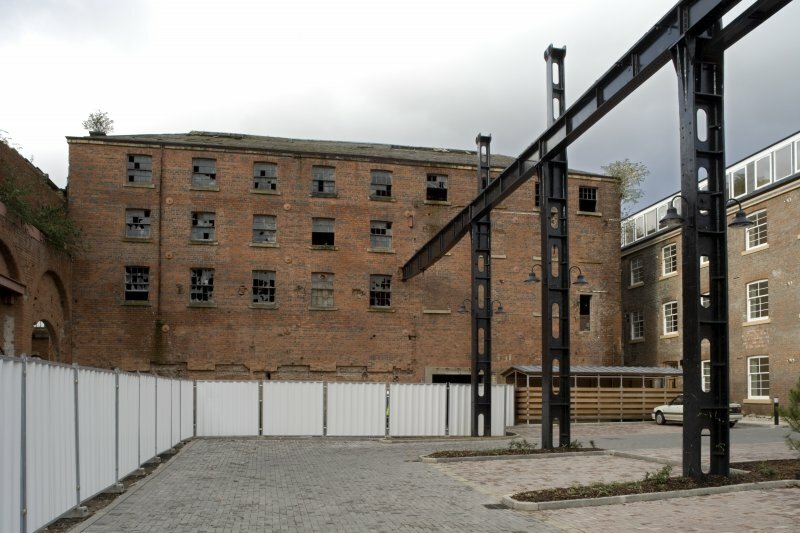 This range has been converted. 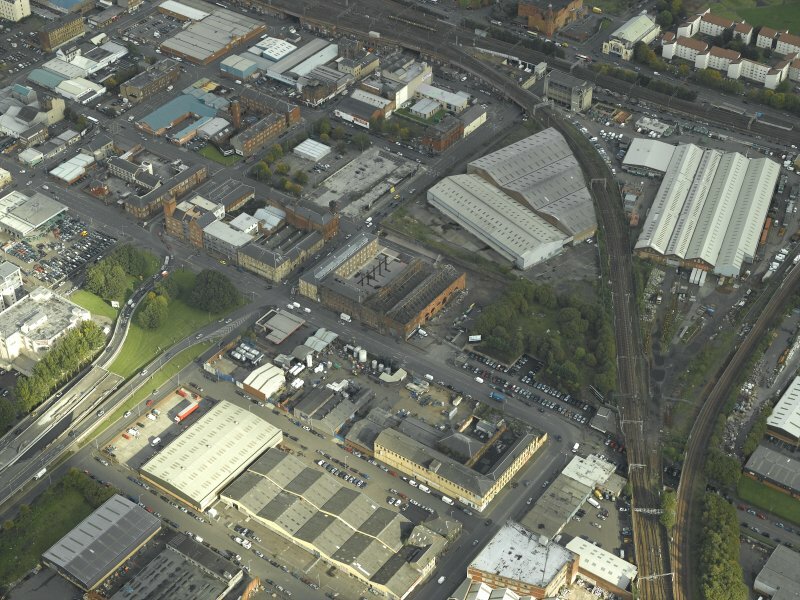 Oblique aerial view centred on the works, taken from the NNE. 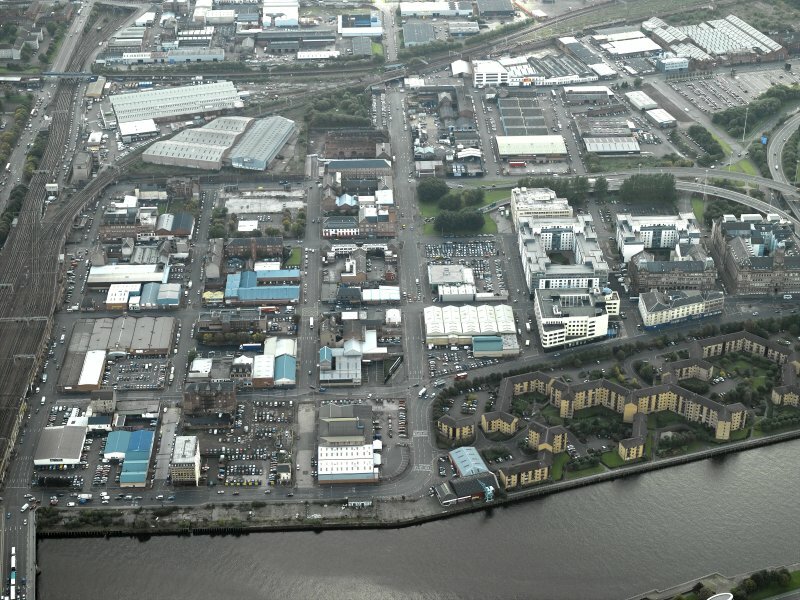 General oblique aerial view of Tradeston centred on the warehouses, works and housing, taken from the ENE. 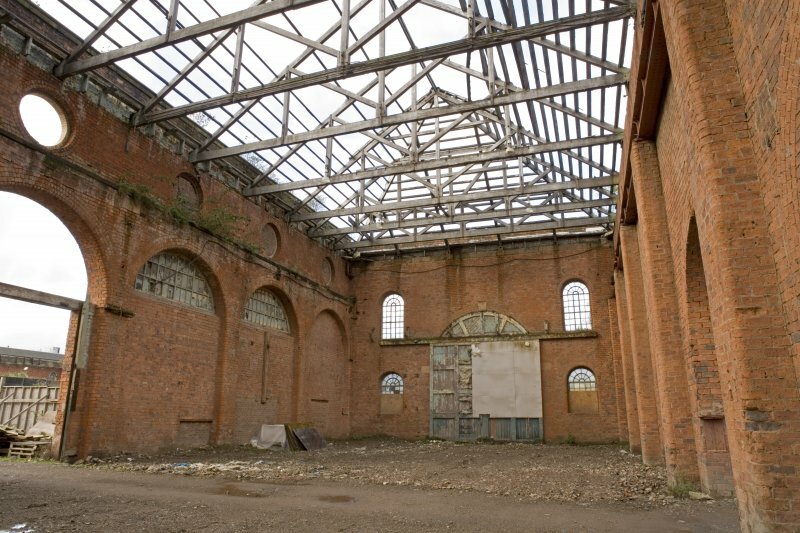 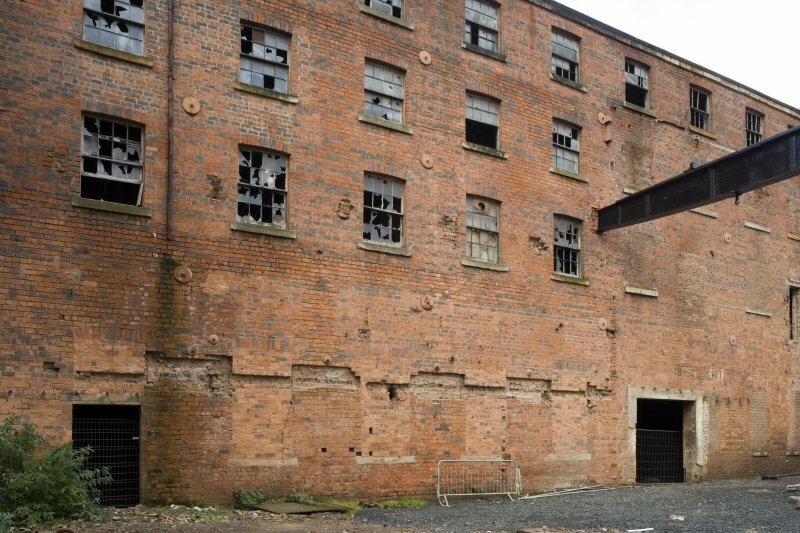 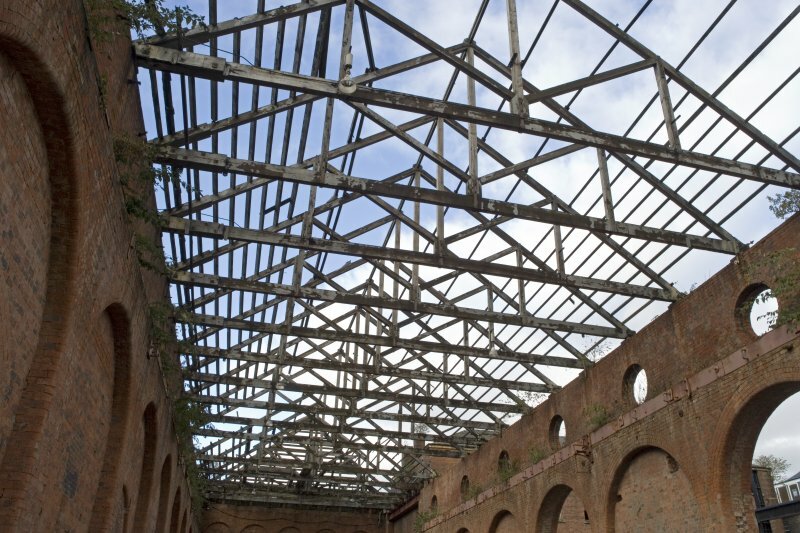 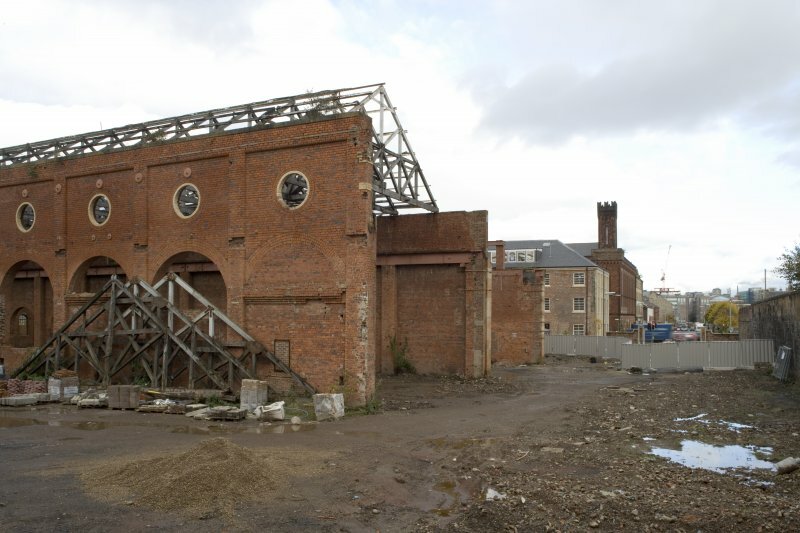 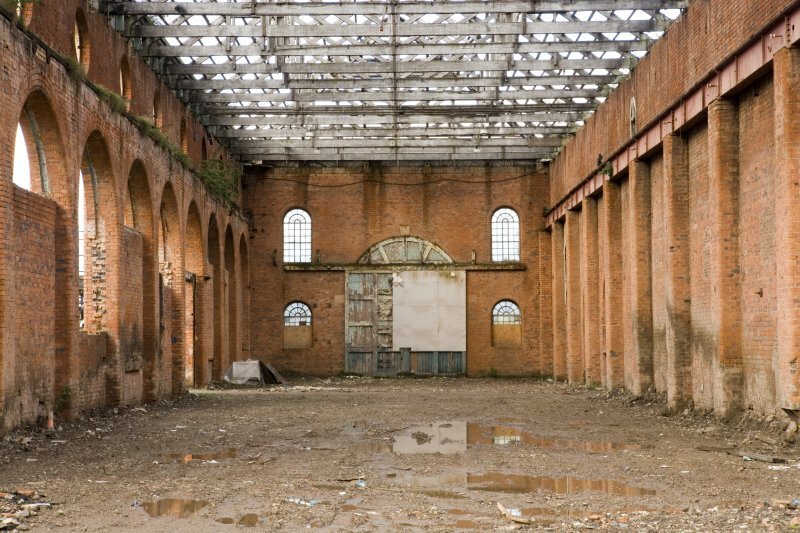 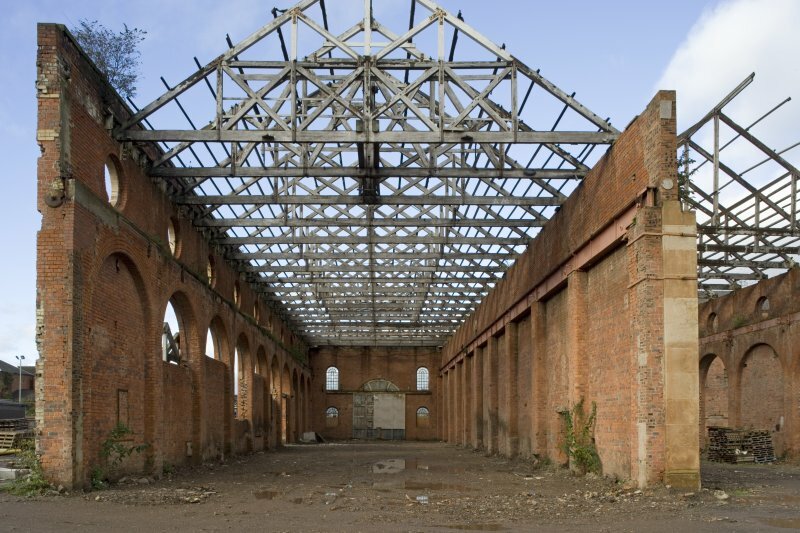 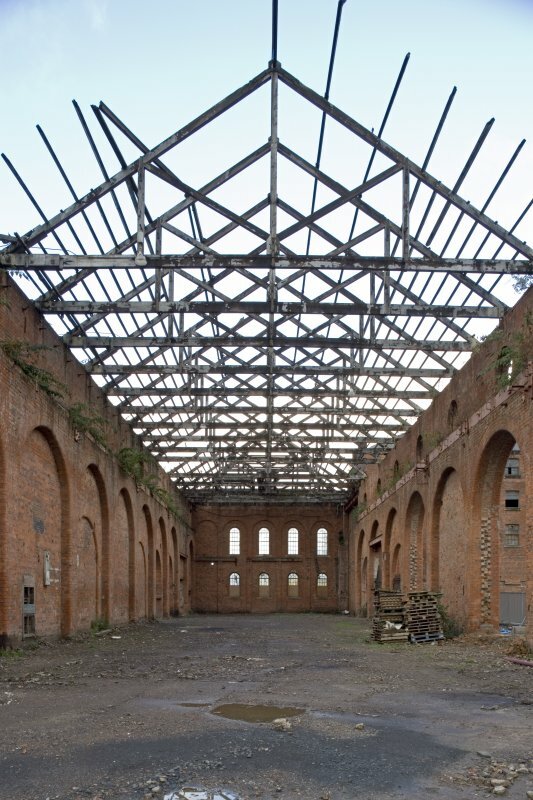 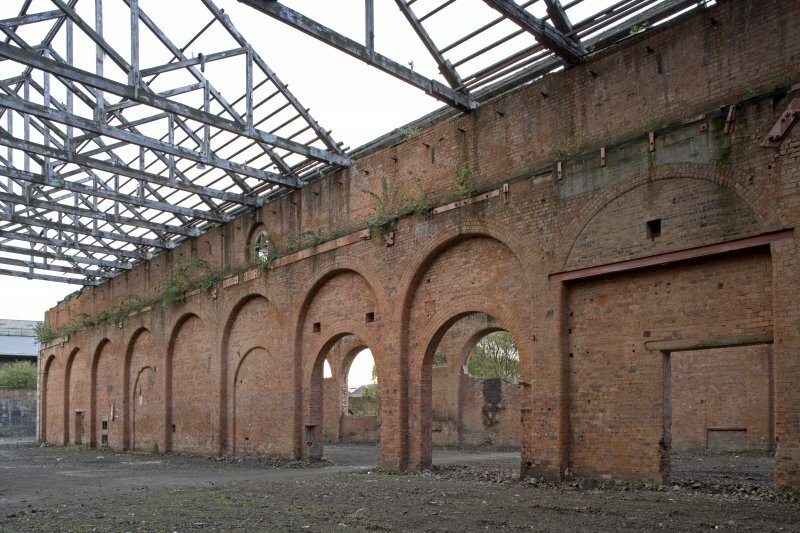 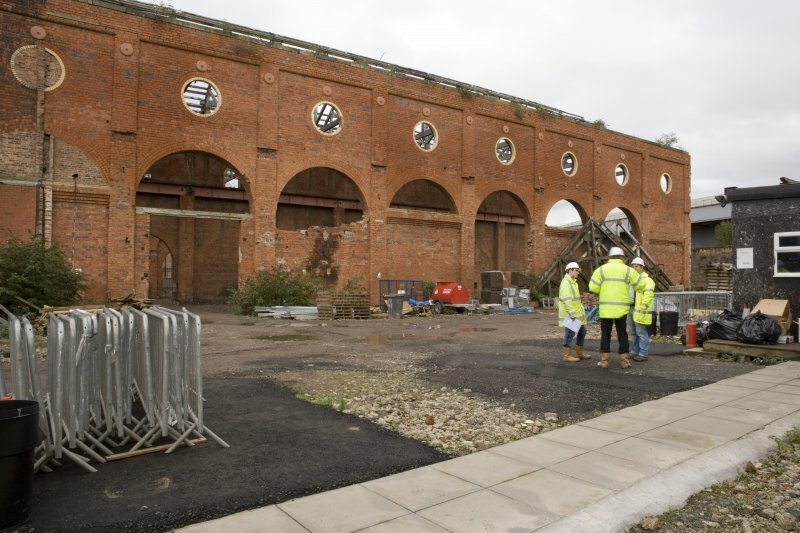 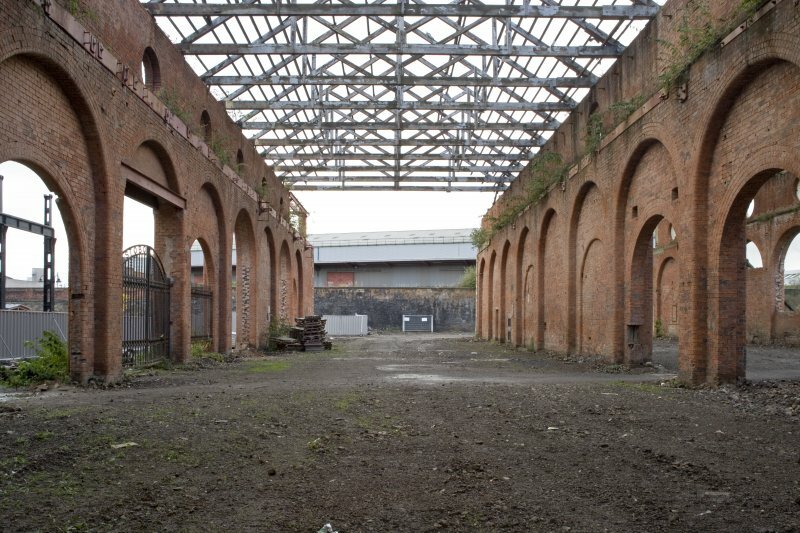 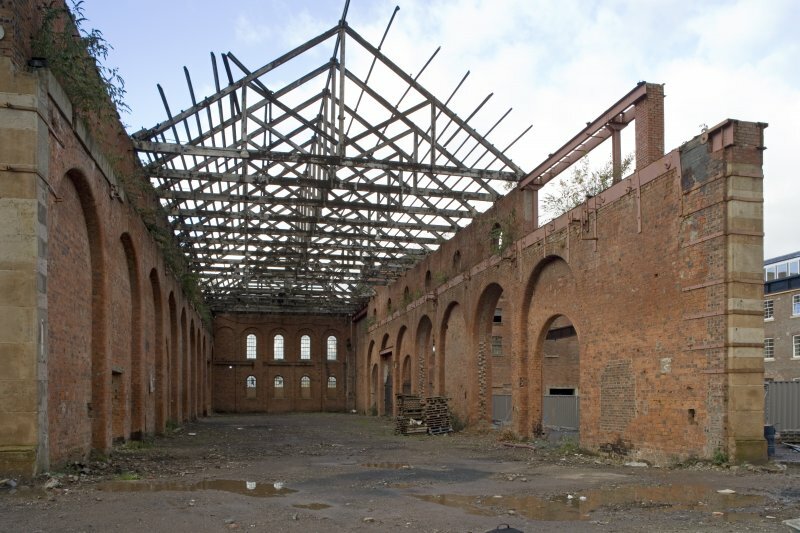 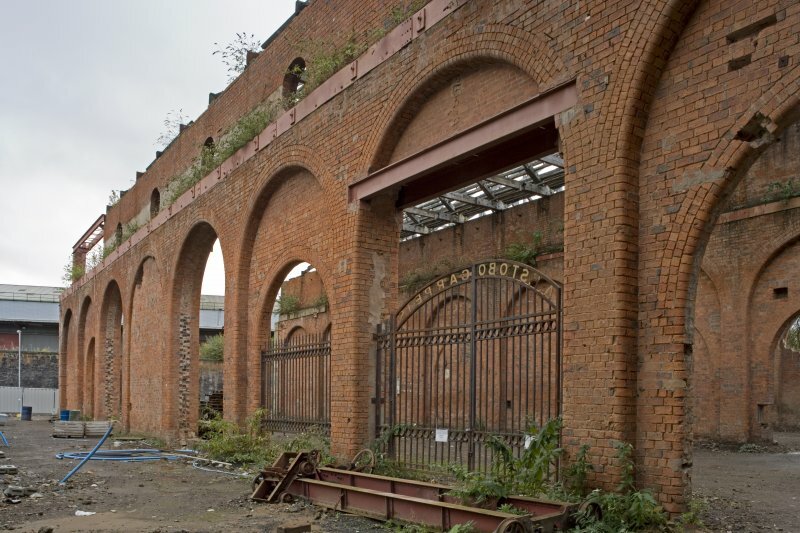 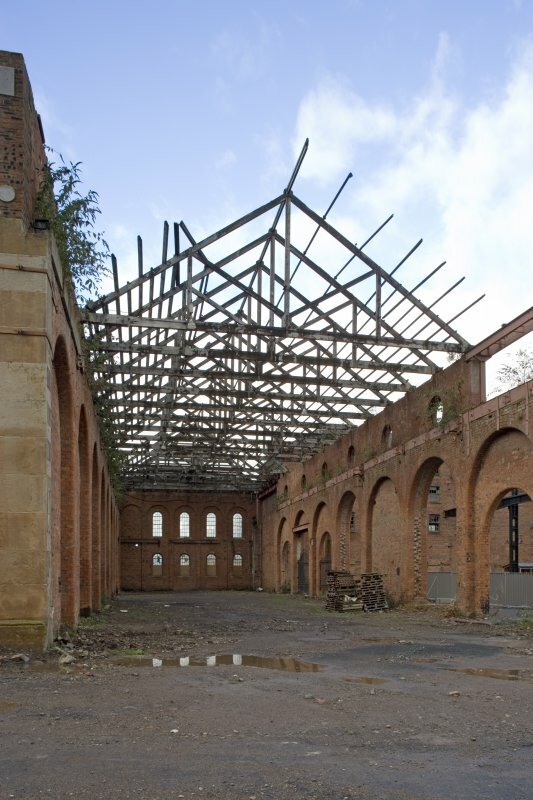 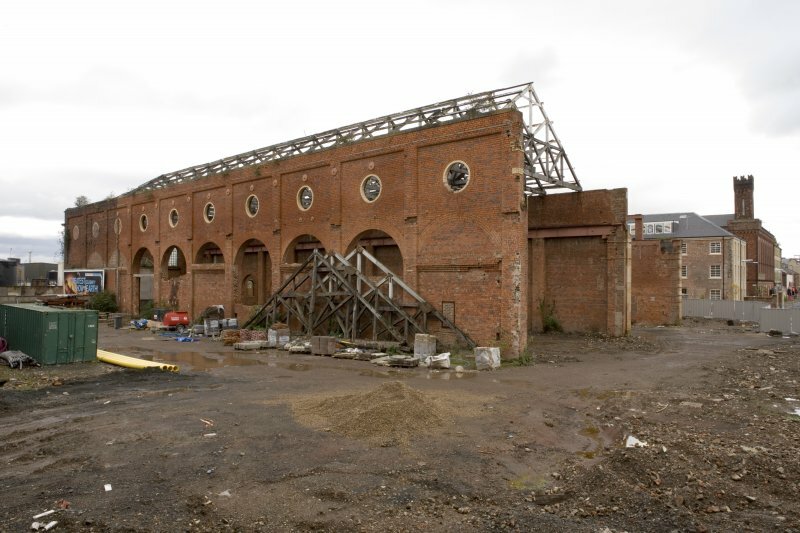 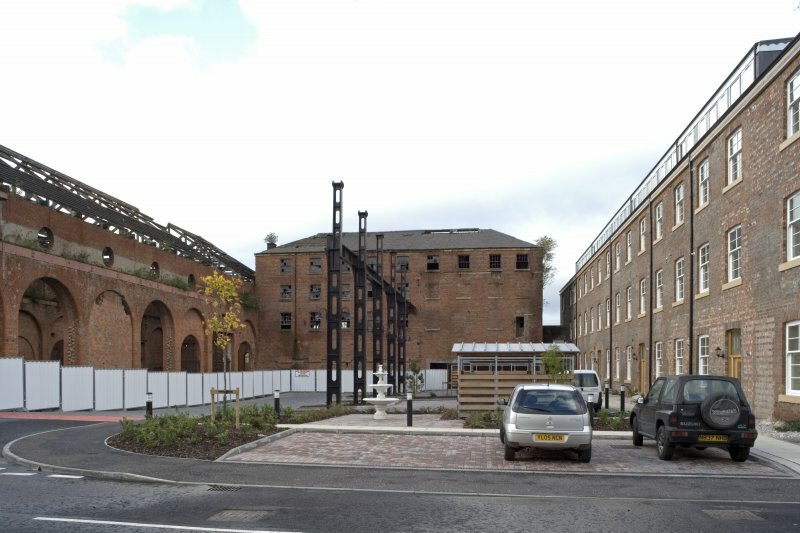 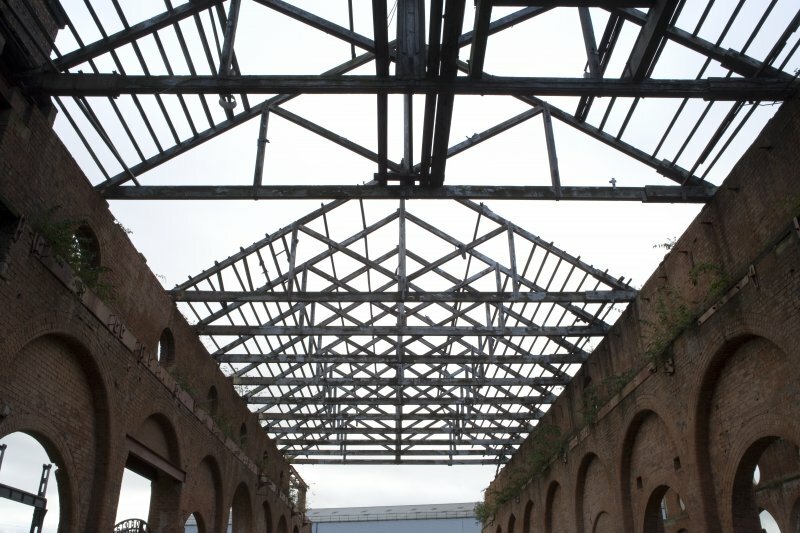 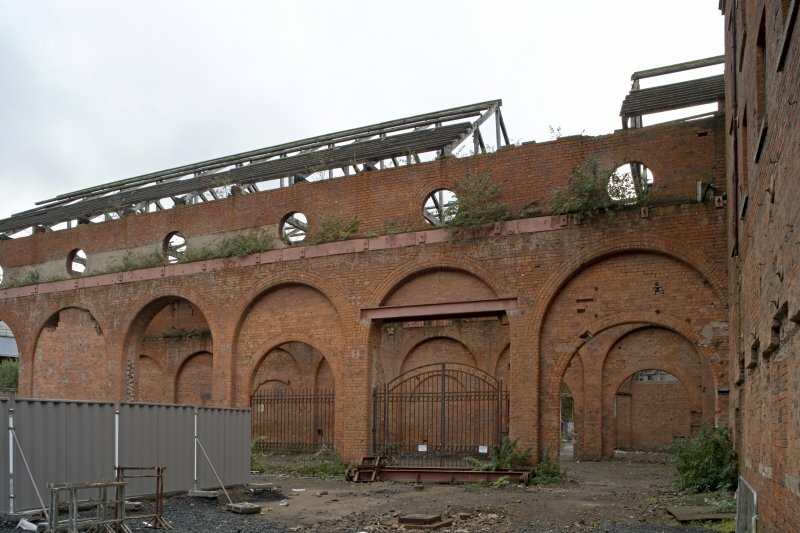 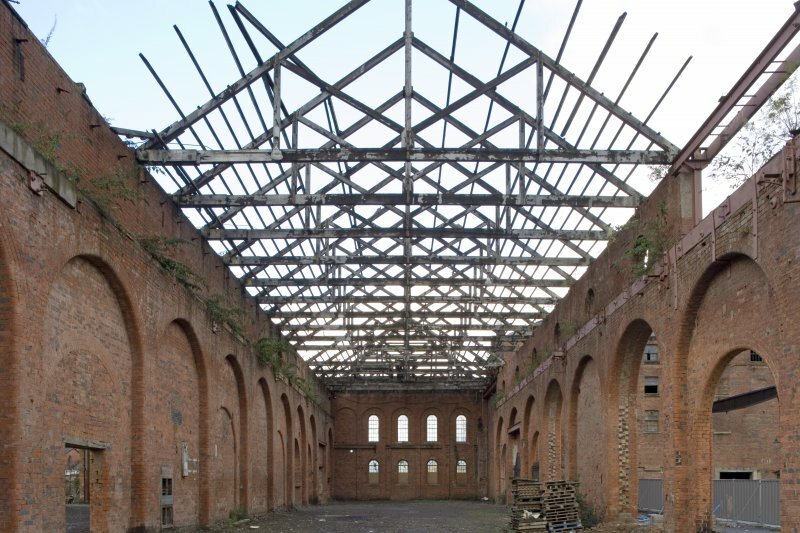 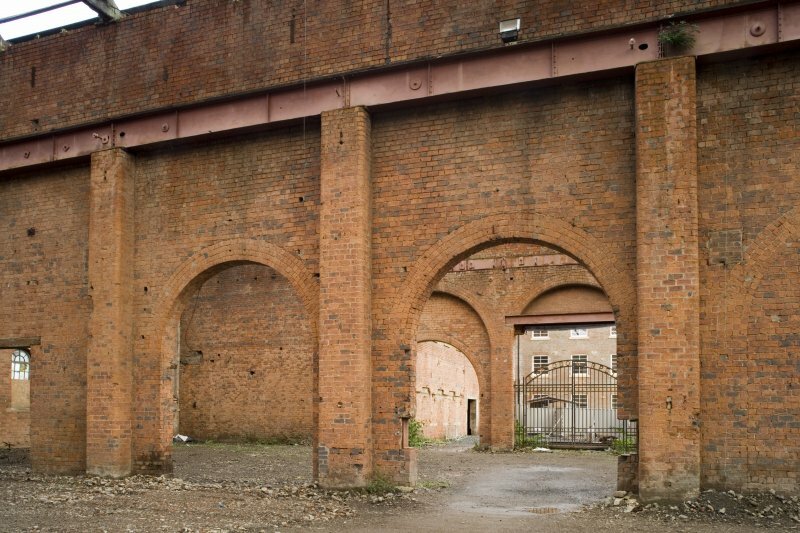 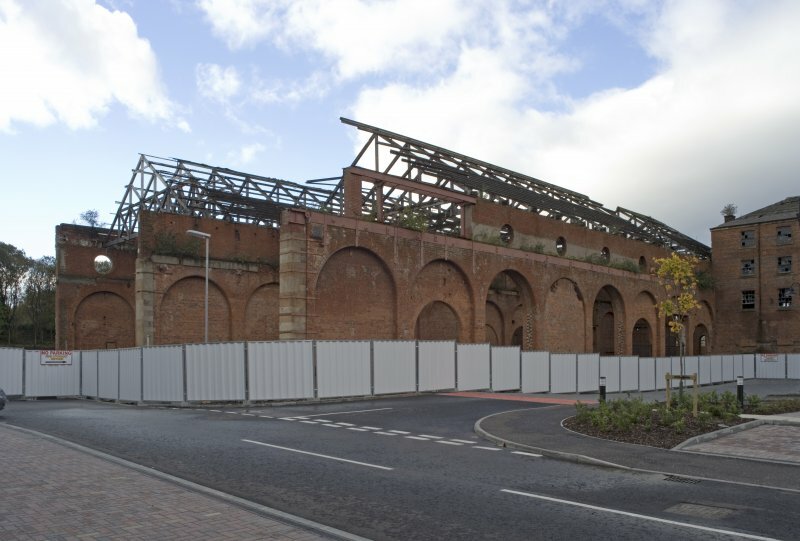 View of former internal pierced brick-arched internal walls of the former heavy engineering shop at the Eglinton Engine Works. 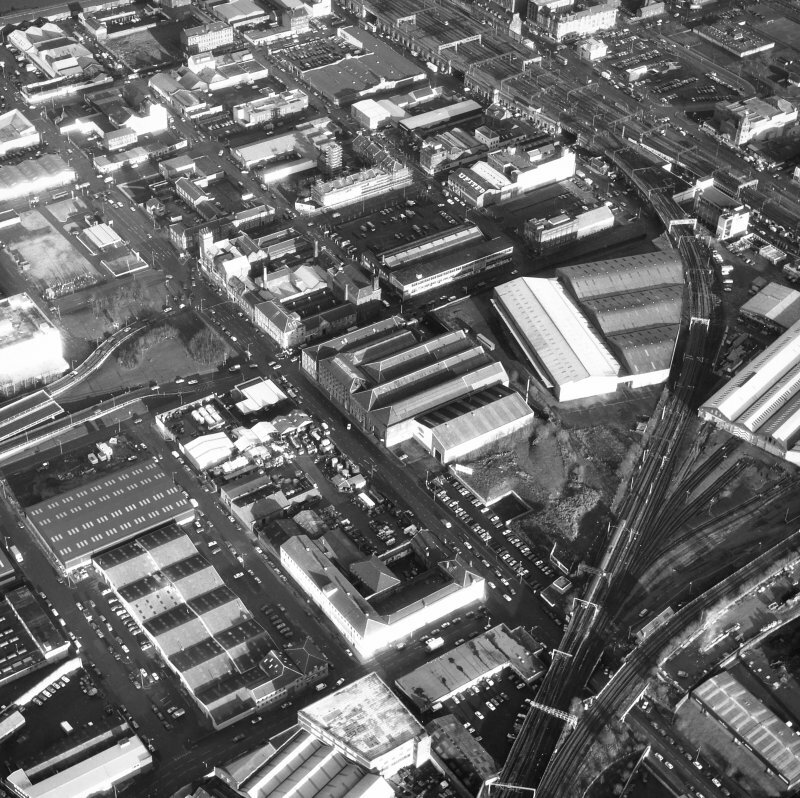 General oblique aerial view centred on the works, taken from the W.
General oblique aerial view of Tradeston centred on the warehouses, works and housing, taken from the NNE. 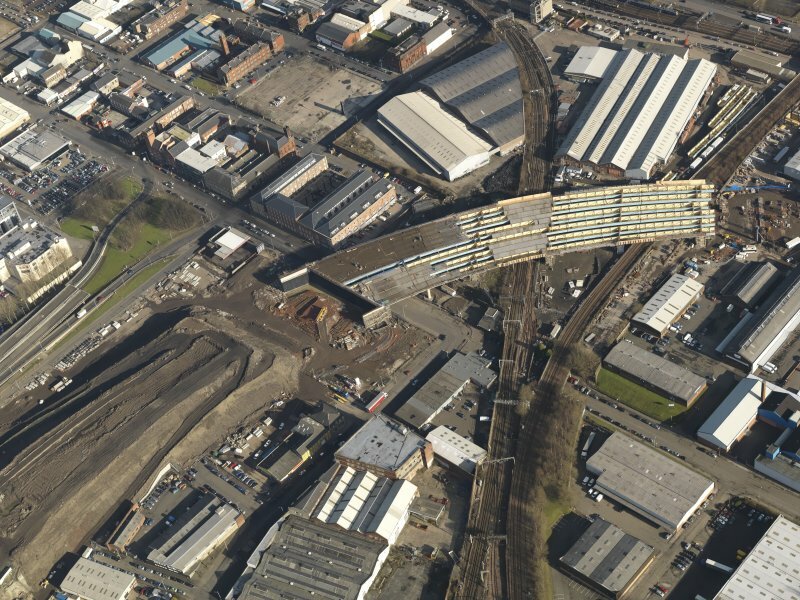 Oblique aerial view centred on the works, taken from the NW. 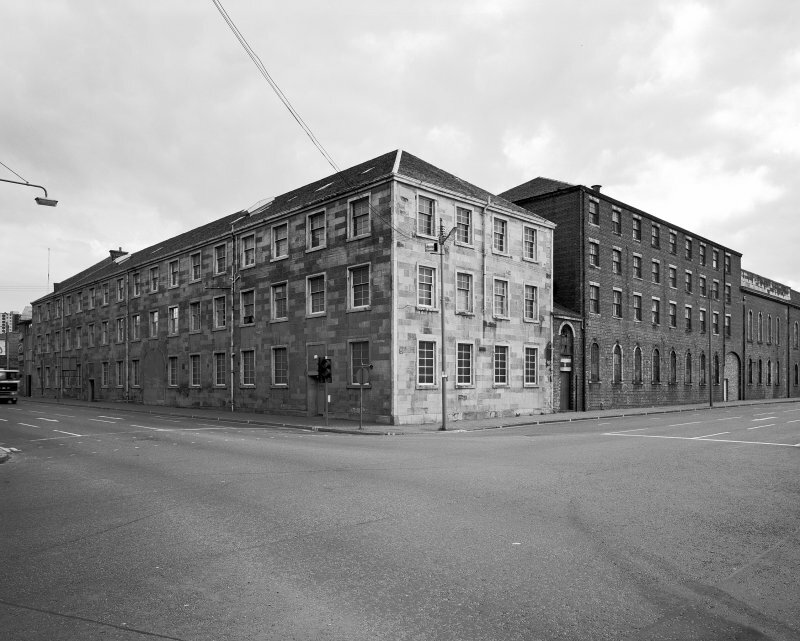 View of Cook Street elevation showig ashlar stone range wwhich house the original fitting shop and later the machine shop. 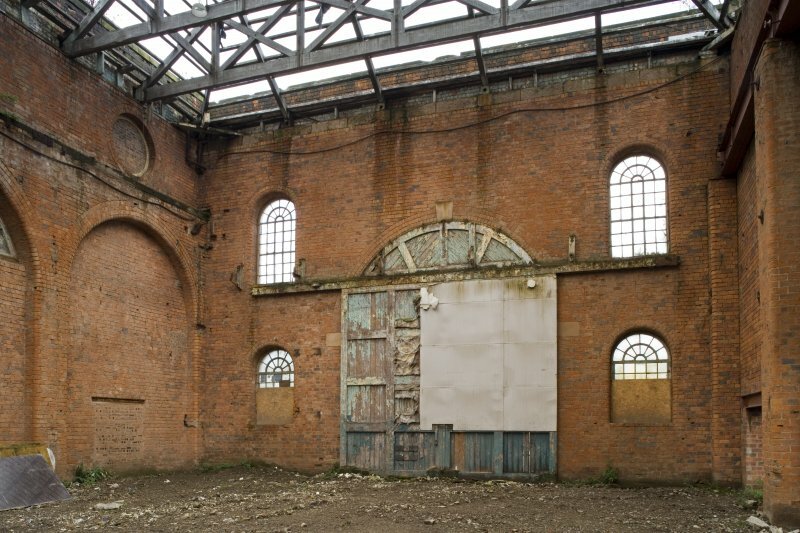 This has been converted into private use. 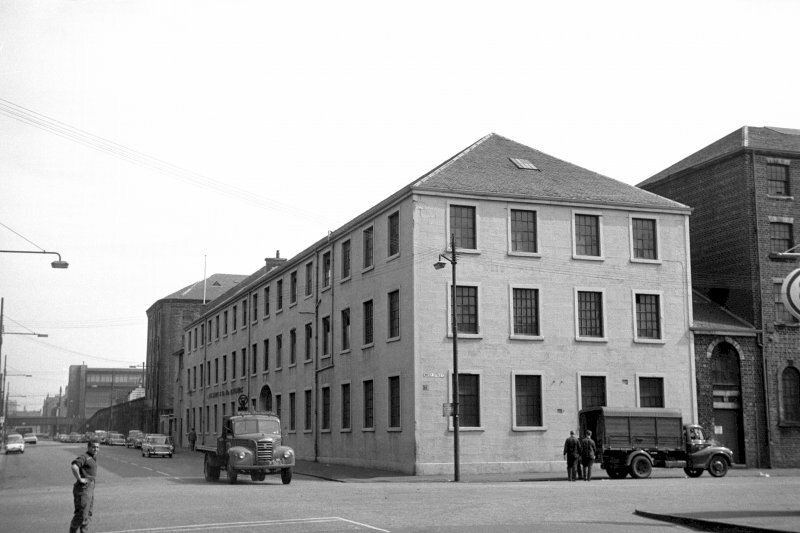 Fitting shop for A & W Smith & Co., Sugar Machine Manufacturers. 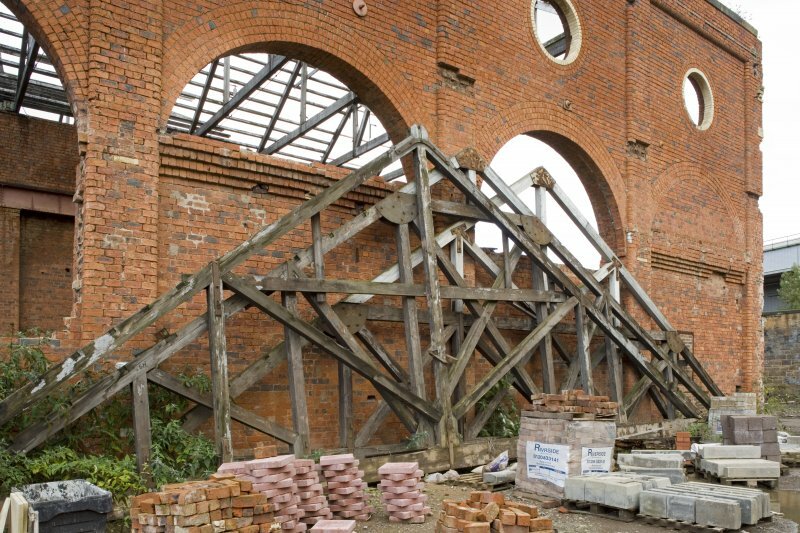 Composite structural frame, originally cast-iron columns with timber beams and flooring, wrought-iron riveted replacement beams in the three-storey masonry block fronting Cook Street. 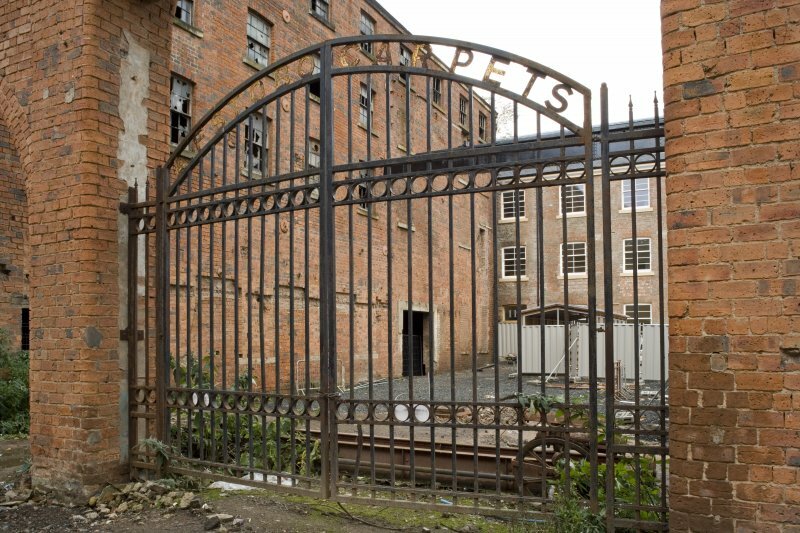 Large door opposite tall gantried fitting shop, now blocked. 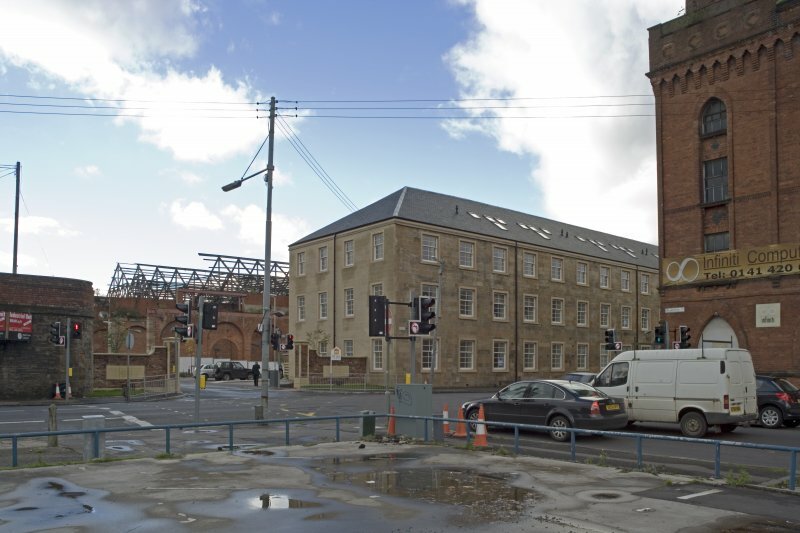 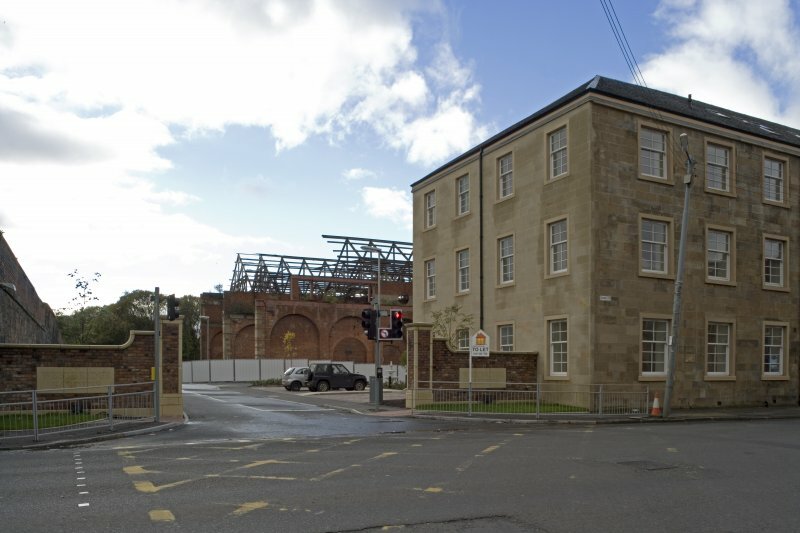 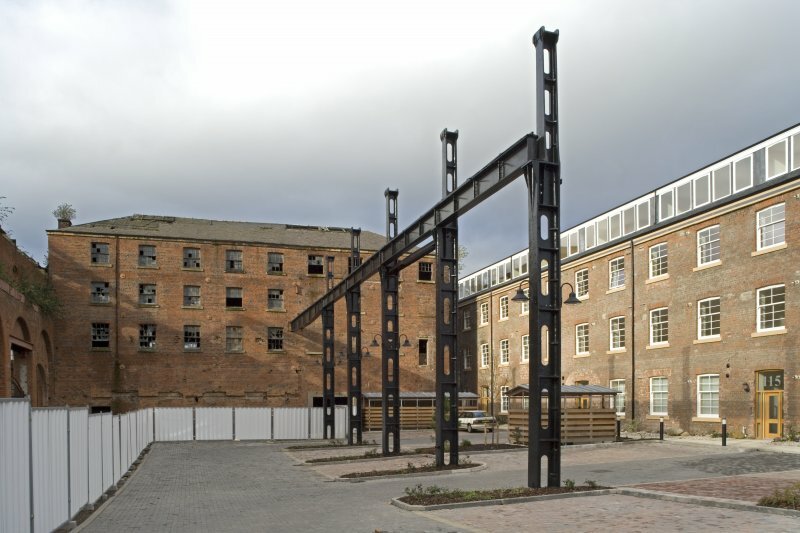 Cook Street commemorates James Cook, the earliest sugar machine manufacturer, who used beam engines to power sugar mills in 1815. 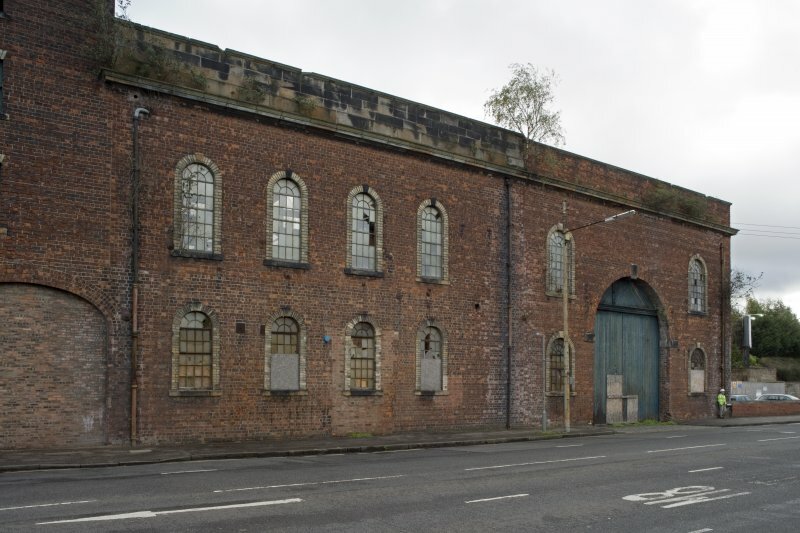 181 West Street, single-storey brick engine house, c.1860. 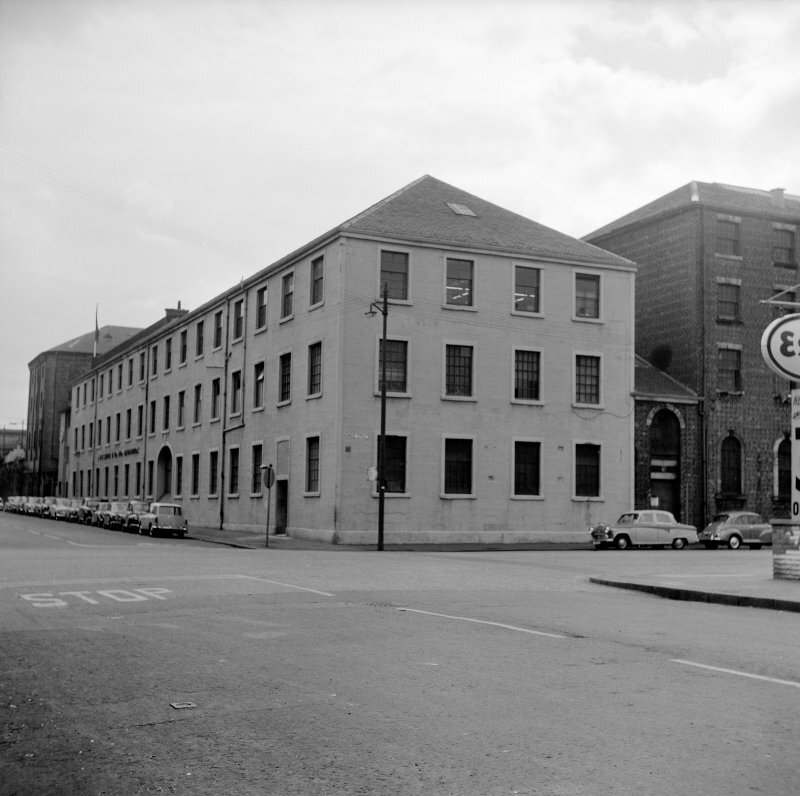 183 West Street, c.1860. 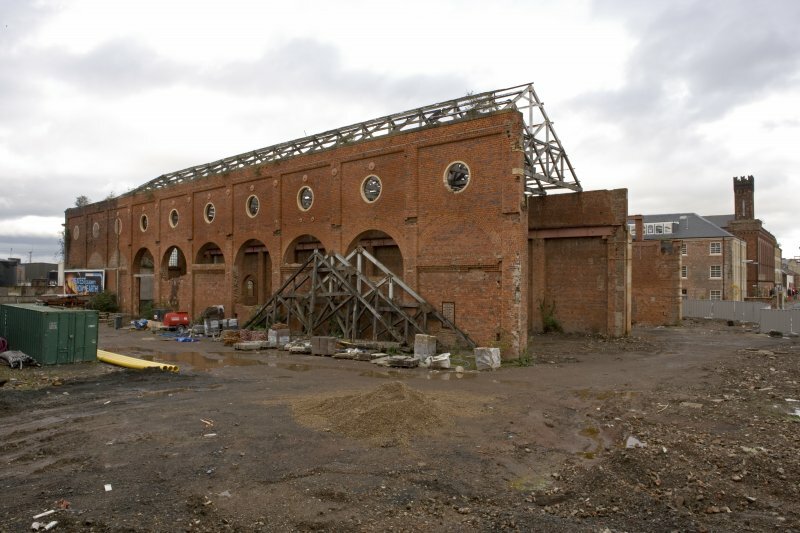 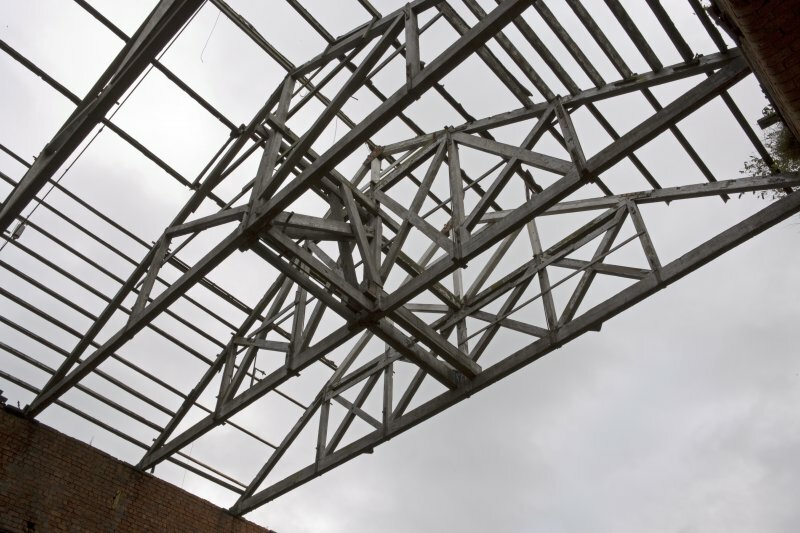 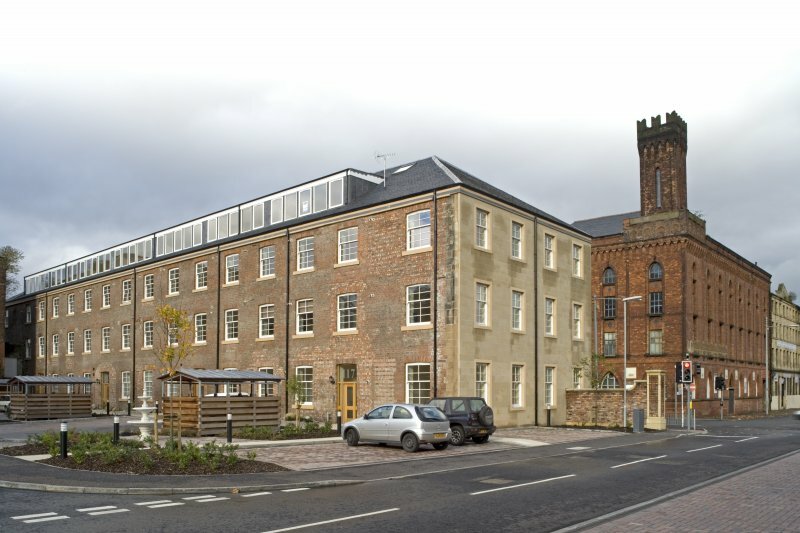 Brick four-storey patternmaking, fitting and fabrication shops. 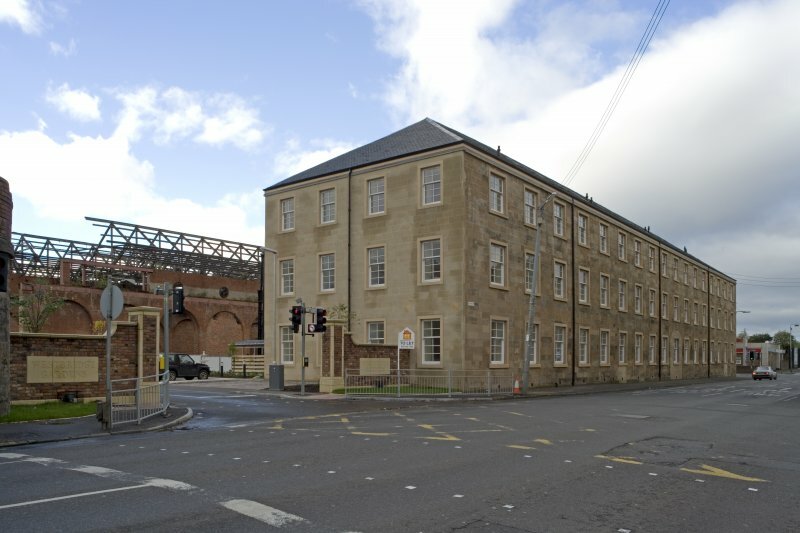 The company of Smith Mirlees ceased manufacturing activities in February 1988, and now works on a sub-contracting basis. 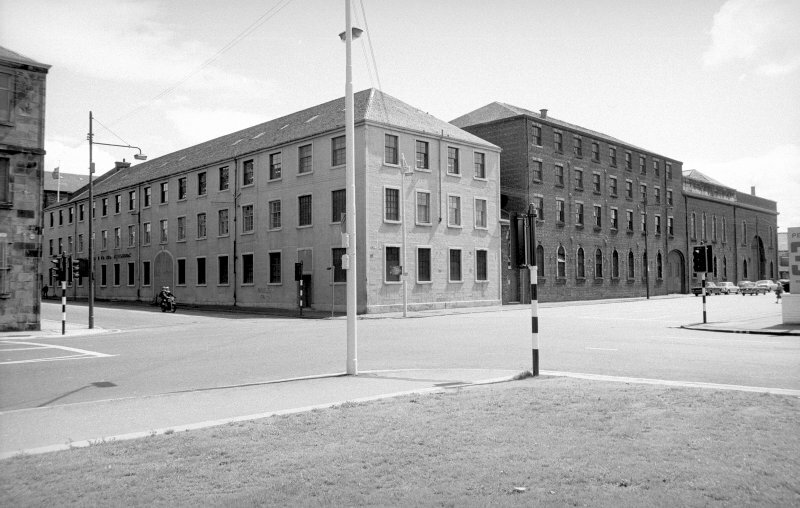 The buildings ('A' listed in parts) have been sold and leased back to Smith Mirlees. 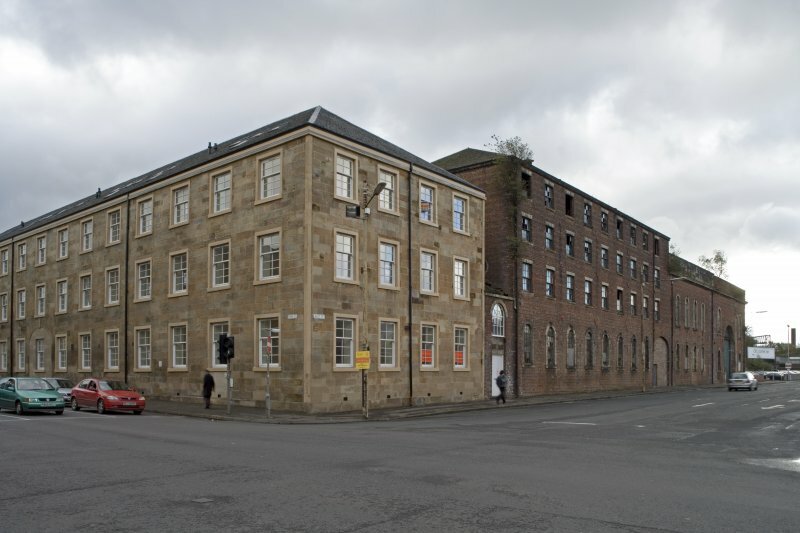 The offices will remain in use by the company but the long term future of the factory itself is uncertain. 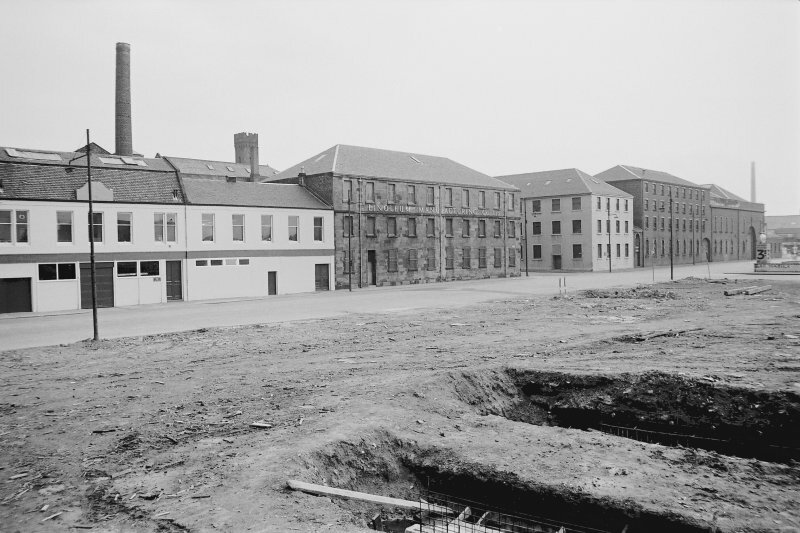 On 19 May 1988 it still contained all machine tools and a skeleton staff of 6 were finishing outstanding jobs and part contracts. 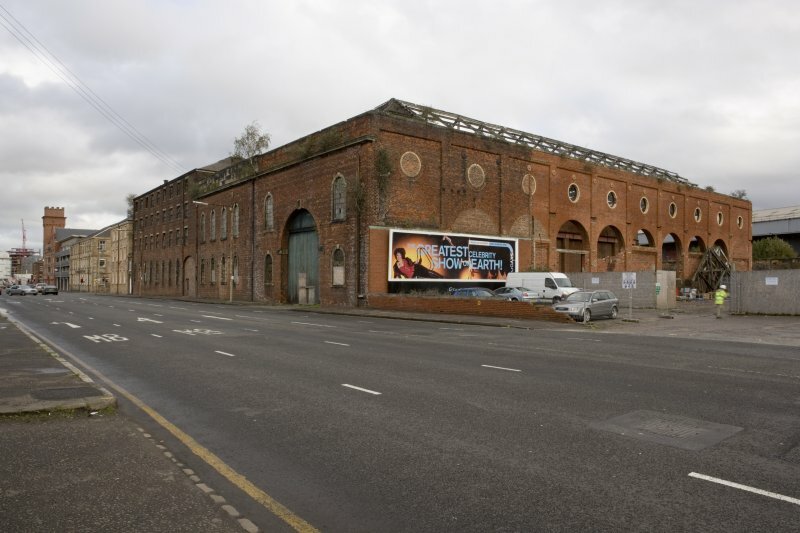 A large engine work complex established in 1855 on Cook Street and West Street (Illus 47.1). 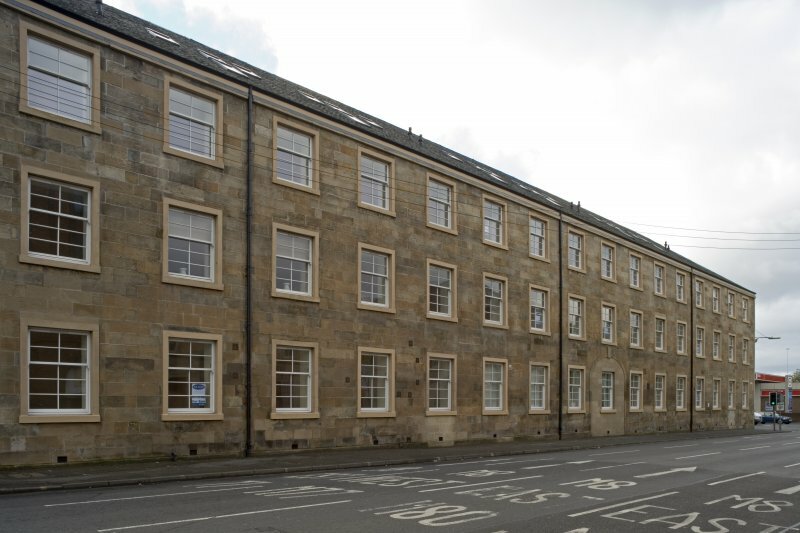 Includes, on Cook Street, a 3-storey 4 by 17-bay ashlar fitting shop and a 3-storey former lodge. 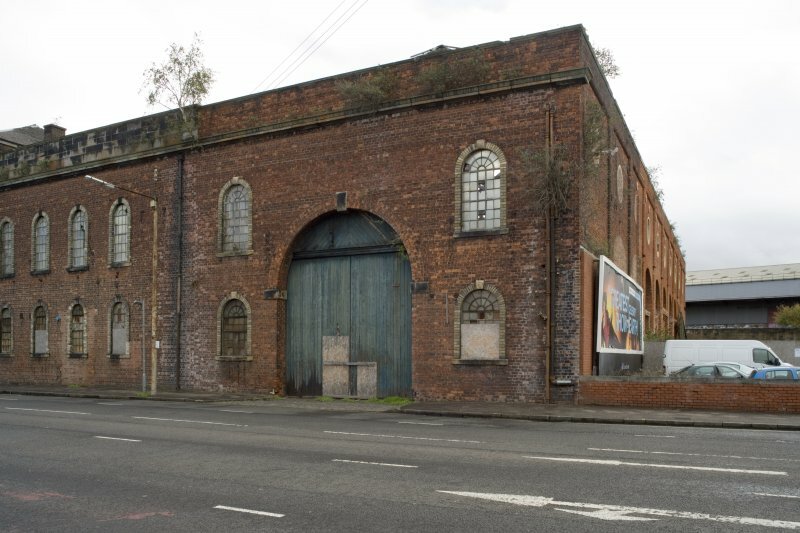 On West Street, a 1 bay 1 storey engine house.